WE NEED you to submit. FREE Assistance on making your submission and help with the process is available from an independent ‘Friend of Submitter’. How much is too much? Huge amounts of fresh treated water are discharged into the Manukau Harbour each day. 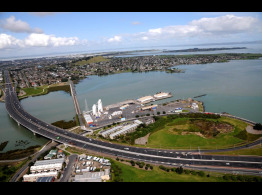 A BETTER FUTURE FOR AUCKLAND - the local community, TOES, Onehunga, Friends of the Manukau Harbour want a better design that has less impact on the waterfront so future generations can reconnect with the Manukau Harbour and enjoy Aucklands next Wynyard Quarter. Ngati Whatua spokesman Ngarimu Blair: "We talk about Auckland becoming the world's most liveable city yet none of the cities we admire around the globe would build a motorway on a waterfront - they are tearing them up." Concrete Tar & Traffic vs Community Coastal Land for Future Development. 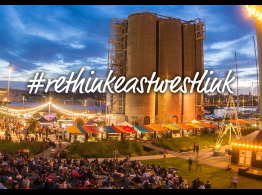 East West Connection is a programme to try & improve freight efficiency, commuter transport, public transport in & around Onehunga. Watercare is building a 13km underground tunnel (the Central Interceptor), which will bring up to 2 million cubic metres of sewage and stormwater from Central Auckland to the Mangere treatment plant each year. In addition to a master plan Jackson says a new bridge must ensure accessibility to the upper harbour as it can provide multiple community and business opportunities. Onehunga’s recently opened new foreshore is just the beginning for one of Auckland’s oldest neighbourhoods. TOES continues to advocate for undergrounding the transmission lines crossing the foreshore and our harbour neighborhoods. 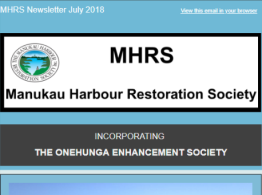 The Onehunga Enhancement Society is the local voice representing the community of Onehunga. 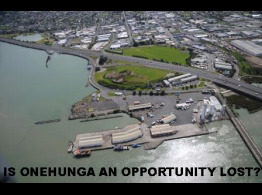 The Society works towards making Onehunga and surrounds a better place to live and work in, by lobbying for better amenities and infrastructure. © The Onehunga Enhancement Society. All Rights Reserved.